The Liberty County Vindicator, a local Texas newspaper, decided recently to post the Declaration of Independence in twelve daily bite-sized chunks so that people would read it. Is the statement true? Was it true then? It doesn’t matter. You don’t call Indians savages, you don’t call them merciless, and also, you don’t call them Indians. They’re Native Americans. It appears Jefferson ran afoul of numerous laws of political correctness. And for that, he was duly corrected. It looks like we made a mistake and removed something you posted on Facebook that didn’t go against our Community Standards. We want to apologize and let you know that we’ve restored your content and removed any blocks on your account related to this incorrect action. Facebook and Google now decide what is acceptable speech. That’s a lot of power. Make no mistake, football players who express their grievances by disrespecting the flag and the national anthem, and therefore the nation that is responsible for their freedom and their riches, should be fired. It’s one thing to protest against a problem. It’s another thing to reject the nation. What we are seeing today would not have been tolerated at any previous point in our nation’s history, prior to say, the last 20 years. The culture has indeed reached a very sad and frightening new low. It’s remarkable that so few in football are standing, literally, against this. Can the kneelers be fired? Would it mean the end of the NFL? Maybe. Or maybe not. Start firing them slowly, one by one, and the others may just decide their money is more precious to them than their principles. The NFL may be finished anyway. A significant chunk of its fan base is deeply patriotic and know they have other options. Baseball is still going, hockey and basketball are about to get underway, and there’s always college football. But President Trump ought to stay out of football and the actions of its players. Trump is the government, and America doesn’t need the government attacking free speech. Whatever one thinks of a football player kneeling during the national anthem, it is speech, and I don’t want Trump telling people what they can say any more than I would Obama. It’s pretty ironic to be criticizing people for disrespecting the republic while at the same time trying to squelch one of its founding principles, free speech. Treasury Secretary Steven Mnuchin’s comment that football players “can do free speech on their own time” is Orwellian. “This is about respect for the military and the first responders in the country,” he declared. Well, as much as I love and respect the military and first responders, I recognize that you are allowed not to respect them. And I don’t think it’s about that anyway. Our flag is not there to represent the military or first responders, it represents the entire nation and our principles. And I’ll be damned if I’m going to have the treasury secretary define free speech for me. That doesn’t mean corporations, like the NFL or its franchises, have to tolerate this behavior. You can’t say or do anything you want at work. Companies are private entities that have a right to decide whom they employ, and if you don’t like it, you don’t have to work for them. But the government should stay out of it. Here’s a random sampling by Fox News of fans who say they like football too much to stop watching. If only the Founding Fathers had anticipated microaggressions and mentioned them specifically in the Constitution. Yet at hundreds of campuses across the country, administrators encourage students to report one another, or their professors, for speech protected by the First Amendment, or even mere political disagreements. The so-called “Bias Response Teams” reviewing these (often anonymous) reports typically include police officers, student conduct administrators and public relations staff who scrutinize the speech of activists and academics. This sounds like the stuff of Orwell, although even he might have found the name “Bias Response Team” to be over-the-top. President Obama used the National Prayer Breakfast Thursday morning to undermine one of the Constitution’s most fundamental rights, suggesting those who demean Islam are abusing the use of free speech. While acknowledging that Americans have “a legal right” to attack another’s religion, Obama said everyone should question those “who would insult others in the name of free speech,” indicating such insults were a misuse of the right. Similarly, Obama’s called for “civility” – a demand he has issued before but not always abided by himself – suggesting a desire that people censor their own speech. As has been often said, the Founders’ free speech protections were not designed to safeguard polite conversation. They were exactly meant for speech that might offend. But part of humility is also recognizing in modern, complicated, diverse societies, the functioning of these rights, the concern for the protection of these rights calls for each of us to exercise civility and restraint and judgment. 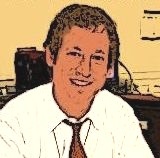 And if, in fact, we defend the legal right of a person to insult another’s religion, we’re equally obligated to use our free speech to condemn such insults — (applause) — and stand shoulder-to-shoulder with religious communities, particularly religious minorities who are the targets of such attacks. Just because you have the right to say something doesn’t mean the rest of us shouldn’t question those who would insult others in the name of free speech. Because we know that our nations are stronger when people of all faiths feel that they are welcome, that they, too, are full and equal members of our countries. For Obama to lump himself in with other citizens who might criticize anti-islamist speech is also a dangerous precedent. Obama isn’t just any other citizen. He is the president of the United States, with vast law enforcement resources at his disposal, and his attacks on the speech of others, however offensive the speech is, can have a chilling effect on the right of free expression. The remarks castigating those who attack Islam also are an indirect criticism of cartoonists at the French magazine Charlie Hebdo, who drew caricatures of Mohammed and were killed for it. The Democratic Party, in its quest for money and politically correct purity, has reached a new low. A private citizen made a statement that some would find offensive. Democrats in Congress are trying to put that citizen out of business. 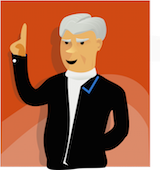 The citizen in question often makes controversial statements. He draws calumny from his opponents. And that is exactly whom the Framers intended to protect by writing the First Amendment. How many of you guys, in your own experience with women, have learned that ‘no’ means ‘yes’ if you know how to spot it? 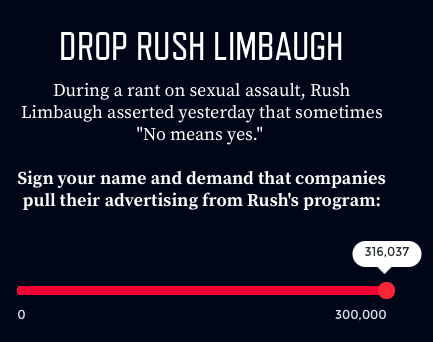 As a previous target of Limbaugh’s sexist attacks, take it from me: we need to stand together and call Rush out. The DCCC has a petition to tell advertisers to stop funding this repulsive commentary. As you can see, as of this morning, the campaign had exceeded its goal of 300,000 signatures. The DCCC is no ordinary political group. It is, by its own telling “the official campaign arm of the Democrats in the House of Representatives.” It’s chaired by a Congressman, Rep. Steve Israel of New York, and other members of Congress head up its key branches. I don’t care what you think about what Rush said. I don’t care what Sandra Fluke says about it – she has a right to her opinion. What I care about is that the DCCC, your government, is trying to put Rush out of business because of something he said. The subversion of our country and its principles to the agenda of the Democratic Party and its demands for political correctness is far more of a danger than anything Rush Limbaugh can come up with. Led by President Obama, who writes his own laws out of the Oval Office, the government is getting increasingly habituated to capricious actions that ignore the law and the Constitution because of the idea, which is everything our Founders fought against, that the views of individual rulers can be so important and so “obviously correct” that they can be unilaterally imposed on the nation. This is the birthplace of tyranny. It is the rationale of the Bolsheviks. Here, in our country. Whatever we once understood about civics is being forgotten. Be afraid for your children’s future. Political correctness is a threat to the republic. It says, at bottom, that hurt feelings are more important than free speech. That some members of society have a right to mold the thoughts of others. It’s exactly the reverse of what was intended by the first amendment, which sought to protect speech from the anger and totalitarianism of the insulted and aggrieved. But today, the aggrieved are in control. They feel empowered to shut you up and shut you down if you say something they don’t like. And they are empowered in part by President Obama, and he is empowered by them. Just before the controversy exploded over Duck Dynasty Phil Robertson’s remarks about gays, Obama mused that the Robertson clan “seems like a pretty fun bunch.” But everyone knows Obama would like to hang out with this group of straight-talking Bible clingers as much as he would a colony of tarantulas. Robertson made comments that were hurtful to some. His ideas on homosexuality were drawn from the Bible, which itself contains passages hurtful to some, though which presumably is not yet on the Left’s hit list. A third of Americans say homosexuality should not be “accepted.” That is clearly what the Bible says. Should people holding this view wear ankle bracelets administering a shock each time they express their opinion? Obama and Vice President Biden have variously described conservatives as extremists, racists, “enemies,” obstructionists, and unprincipled connivers opposing Obama for rank political gain. This presumption by Obama of malice on the part of his opponents – and his malice toward them – is not just inappropriate, it’s destructive. It fosters the climate of intolerance in which we find ourselves, and of which political correctness is the guiding principle. Robertson’s comments about gays were actually less harsh and insulting than those Obama and Biden make about conservatives. But nobody’s complaining. The notion that thought and speech can be controlled abets statist governance, which is all about molding your behavior. A society that tells some guy on a TV show whether he can or can’t express opinions that are rooted in Holy Scripture is one that can, for example, tell people they have to think they need health insurance and that they must use their money to purchase it. Not to mention requiring nuns to buy the morning after pill for the less-faithful. 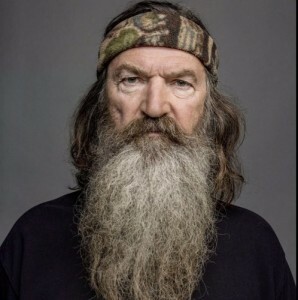 With A&E having reinstated Robertson, gay groups are now demanding that he engage with them in “dialog,” which of course has become in our society an Orwellian term meaning “further contrition.” Having failed to procure his head on a platter, they’ll at least need the duck hunter to eat crow, because otherwise it might signal that free speech is still alive in America. Did you hear? Hugo Chavez leapt up out of his cancer bed and attacked two Venezuelan media outlets by name, hoping to get them to take a more pro-Chavez line. Terrible that Venezuela has become such a place – its leader working to chill free expression in order to advance his agenda. OH WAIT A SECOND THAT WASN’T CHAVEZ IT WAS OBAMA. I’d say we’ve finally come to this, but of course Obama and his White House have pulled this stuff before. But here’s the latest, from Obama’s interview with two lackeys – one of whom actually worked on his campaign in 2008 and donated money to him since – from the New Republic. Does Obama stop and think even for a second about the ramifications of what he’s doing? Whether it’s appropriate for someone as powerful has he to be bullying specific members of the press? Free speech guarantees freedom and all those values of the Founders Obama promoted in his Inaugural address. But Obama thinks his myopic little agenda is more important than such timeless principles. That he is grander than freedom of the press. And that whatever he needs to do to achieve his goals is worth it. There’s no equivalence there. In fact, that’s one of the biggest problems we’ve got in how folks report about Washington right now, because I think journalists rightly value the appearance of impartiality and objectivity. And so the default position for reporting is to say, “A plague on both their houses.” On almost every issue, it’s, “Well, Democrats and Republicans can’t agree”—as opposed to looking at why is it that they can’t agree. Who exactly is preventing us from agreeing? Obama thinks that because ideas are his, they are objectively true, and therefore objective journalists will come to the same conclusion. WHICH IS EXACTLY WHAT IS KNOWN AS SUBJECTIVITY. Because he’s so convinced of his incontestable rightness, Obama doesn’t even understand that he’s asking reporters to be liberals. He thinks he’s asking them to be objective. I know it’s difficult for people who are sure they are right about things to live in a democracy and have to tolerate FREE SPEECH that injures their cause. Obama is accusing Limbaugh and Fox News of wrecking the democratic process by actually influencing Republicans with their speech. But, Mr. President, this is exactly how the democratic process is supposed to work. The democratic process is not about getting results. It’s about having an argument, and then getting results if you can. Sorry, I know that’s hard work. But that’s the way we do it here. It’s a little different than Venezuela. President Obama Tuesday minced no words in defending the First Amendment before the world, declaring in a speech to the United Nations that the right to free speech is “enshrined” in our Constitution and that failure to safeguard it leads to oppression. In response to the video denigrating Mohammed that sparked outrage in the Muslim world, Obama had been slow off the mark defending the right of free expression. But he used the platform at the UN not only to defend American free speech but to try to promote it to the rest of the world. Of course, Obama did try to get the video removed from YouTube. But at least we’re hearing the right words now. Obama noted, correctly, that not everyone around the world accepts free speech. And though he didn’t say it, the fact is, they never will – or not anytime soon. But he leavened this bow to reality with a demand that others not translate their opposition to free speech into violence. And on this we must agree: There is no speech that justifies mindless violence. (Applause.) There are no words that excuse the killing of innocents. There’s no video that justifies an attack on an embassy. There’s no slander that provides an excuse for people to burn a restaurant in Lebanon, or destroy a school in Tunis, or cause death and destruction in Pakistan. The free speech section of the remarks complemented what was generally a far less accommodationist tone than Obama speeches past. Today, Obama condemned the violence and disorder that has grown up out of the Arab Spring. It is time to marginalize those who — even when not directly resorting to violence — use hatred of America, or the West, or Israel, as the central organizing principle of politics . . . Understand America will never retreat from the world. We will bring justice to those who harm our citizens and our friends, and we will stand with our allies. We are willing to partner with countries around the world to deepen ties of trade and investment, and science and technology, energy and development . . . for partnerships to be effective our citizens must be secure and our efforts must be welcomed. Whether Obama is posturing in order to avoid being outflanked by a tougher foreign approach by Gov. Mitt Romney, or whether Obama may have gotten a dose of reality about the world in three and half years as president – or both – is unclear to me. But the speech was a welcome departure from the unadulterated effort to be pleasing and reasonable that has been the hallmark of Obama’s foreign policy.